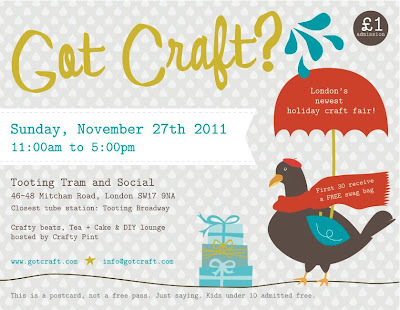 This November we are excited to be joining the launch of a new Craft Collective to London & in a brand new location for us too! 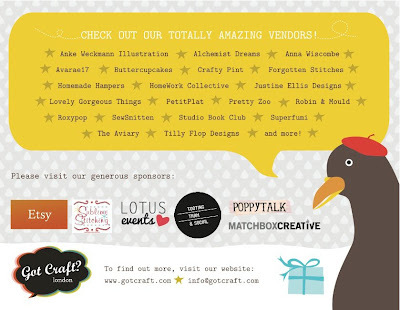 The savvy event organisers from Vancouver launched Got Craft? in 2007 & have since been hosting home to many crafty shindigs, this November the 27th they will be setting up shop in London's Tooting Broadway at the Tooting Tram & Social Bar on Mitcham Road. 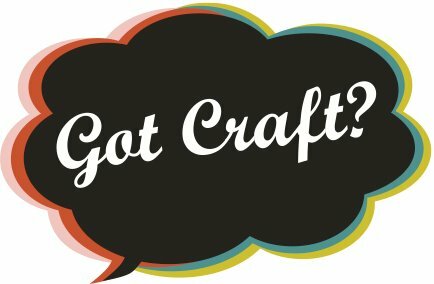 The event will be featuring over 20 talented designer makers, food, a DJ, a D.I.Y table & free swag bags for the first 30 people through the door! This event is sizing up to be a great opportunity to do some bespoke handmade Christmas shopping so why not come down & spend your Sunday browsing, drinking & socialising amongst the many creative stall holders.